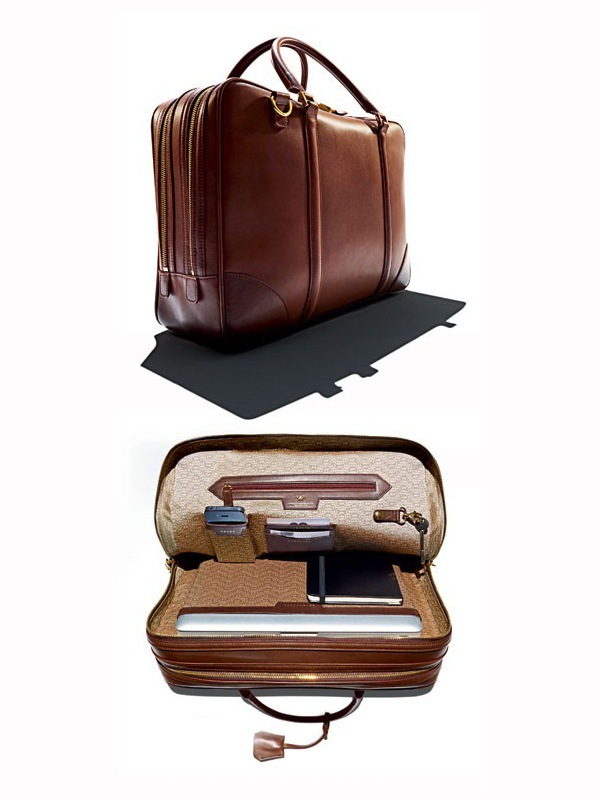 dylan jones, editor in chief of british GQ, collaborated with anya hindmarch to create the latter's first ever men's bag. not sure if this is a special one-off, or if anya hindmarch is entering the menswear market. but i do like the bag, love love love the rich vintage coloring, the little compartments stamped in anya hindmarch's style, the key clochette. but if i'm honest: not really feeling the monogrammed interior. and the name of the bag? the dylan jones. very stylish, and i feel is a bold step forward for anya hindmarch. any thoughts about the bag? but regret that I am with you on the lining...a bit 60s washbag?! Sorry folks it just doesn't do it for me. And sorry Dylan, but calling it the Dylan Jones? Surely just The Jones or Mr Jones would have been cooler? And I am probably being uncool just by saying that...but again LOVE the exterior. the other one: agree with you on the name too, but if i have the chance to design and build my own bag/shoe, i'll name it loud and proud too. great looking bag.